Canyon Ranch, renowned for its wellness-focused resorts and programs, plans to enter the senior living industry. The Fort Worth, Texas-based company — which opened its first destination resort spa in Tucson, Arizona in 1979 — is making headway toward this goal and plans to announce a senior living brand later this year. 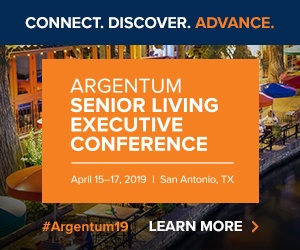 Canyon Ranch is specifically looking at continuing care retirement community (CCRC) entry fee or high-end rental models created around its wellness offerings, according to Gary Milner, executive vice president of adult living development for Canyon Ranch. “For us, the senior living opportunity is obvious,” Milner told Senior Housing News. The company is talking to a number of possible operating partners in the senior living industry, and is looking at multiple locations in the U.S. for potential community co-development — though Milner said the plans are not yet far enough along to talk specifics. If all goes according to plan, the opening of Canyon Ranch’s first senior housing community would mark the entrance of a new major wellness brand into the industry. The company helped pioneer the wellness resort sector, and today offers a brand of destination resorts, wellness spas and fitness clubs on land and on 22 cruise ships. Canyon Ranch is no stranger to real estate for older adults, either. It currently owns about 100 homes surrounding its original resort in Tucson, where residents have access to the nearby health, wellness and spa facilities. These homes are not age-restricted, but many owners are in middle age or older, Milner said. Canyon Ranch is seeking to serve this demographic in a variety of ways, including through a recently launched program called Encore: Flourishing in the Second Half of Life. This week-long program was led by former Borden Foods CEO Doug Smith, who has authored books on happiness and wellbeing. This is the sort of offering that would translate well to a senior housing community, Milner noted. And, Canyon Ranch has plenty of capital one deck to finance new development in the senior housing space. Crescent Real Estate owns Canyon Ranch, and John Goff — who heads up Crescent as chairman — has a hand in Silverstone Healthcare, a high-end assisted living and memory care owner that works with operating partners such as Harbor Retirement Associates (HRA). Canyon Ranch is entering senior living at a time when many operators are reconfiguring their operations to focus on wellness. Based on what he has seen in the resort industry, Milner is confident that Canyon Ranch will provide a more robust and time-tested offering than potential competitors, however.